Find instrument repair services, musical instrument store, rehearsal spaces and recording studios in Leeds and other surrounding areas within West Yorkshire using Musician Go’s online directories. Our powerful search functionality allows you to effortlessly refine search results to find what you’re after in no time. If you own a musical instrument shop, repair service, recording studio or rehearsal space, promote your services for free by creating a Musician Go profile here. 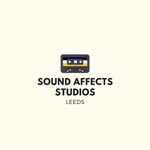 We are a professional recording studio in Leeds run by professionals for professionals and the professionally minded recording artist.